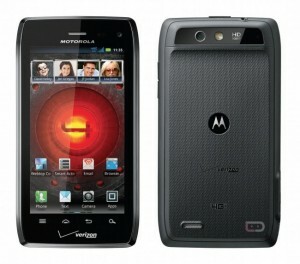 Alright so now Motorola’s Droid 4 is reported to have its picture and specs leaked on the internet. Motorola was reported to have announcement soon and looks like their marketing team wanted to warm up the market and we all know how that goes. “Oh! someone leaked the pictures”, Really? Do we really have to believe this crap from Motorola that it can’t keep its phone details secure? Seriously its about time that these companies come out and release pictures, leaked stuff is really getting old! Anyways, back to the topic of Droid 4. The phone has a legacy QWERTY keyboard and has 4G LTE support, a faster processor and a more powerful battery. Motorola Droid 4 has a 4” high resolution capacitive touchscreen display, a 1.2GHz dual core porcessor, 1 GB of RAM, a 5-row slide-out QWERTY keyboard, an 8 megapixel fullHD primary camera, a front facing HD video calling camera, Android 2.3 OS, 4G LTE connectivity and much more. The Droid 4 is set to hit Verizon wireless in the US soon. There isn’t any release date or pricing yet but rumors are that it will be here for the holiday season.